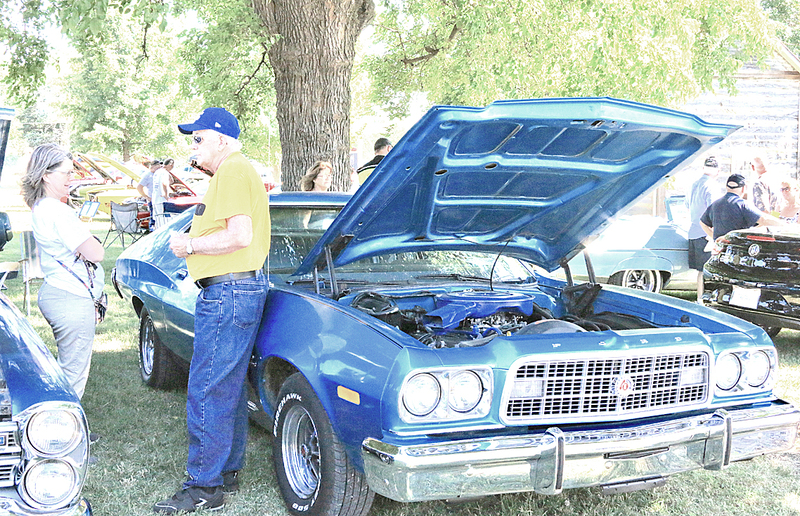 LYNDON — There was a record 145 vehicles registered for the seventh annual Get Rev’d Up motor show Saturday, June 16. 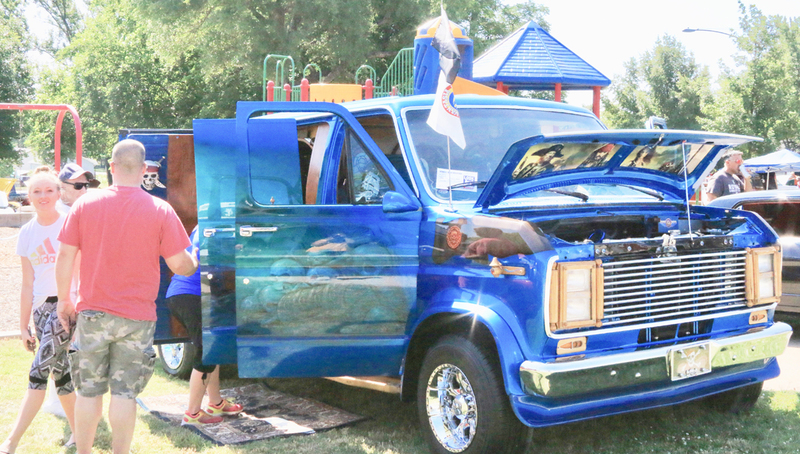 The annual event is hosted by Lyndon United Methodist Church and was held in Lyndon City Park. Registered vehicles ranged from antiques to modern vehicles and customized vans to ratrods. Motorcycles were also on display in addition to the cars, trucks and vans. The oldest vehicle was a 1922 Ford Trak T Roadster, owned by Dan Rickets, Meriden. The entry that came from the furthest point was a 1977 Mini Cooper 1000, owned by Don Peterson, Deeside, Aberdeen, Scotland, United Kingdom. Another entry that made a long journey was a 2015 Harley Davidson Free Wheeler, owned by Tommi Poley, Dedar Park, Texas. All other entries came from the following places in Kansas, Americus, Auburn, Berryton, Bonner Springs, Burlington, Carbondale, Cottonwood Falls, Emporia, Eudora, Gardner, Garnett, Gypsum, Hartford, Havensville, Kansas City, Lawrence, Lecompton, Lyndon, Mayetta, Neosho Rapids, New Strawn, Osage City, Ottawa, Overbrook, Paola, Pomona, Quenemo, Tecumseh, Tonganoxie, Topeka, Vassar, Wakarusa, Wamego and Wellsville. In addition to viewing the vehicles, attendees were able to enjoy food, including homemade ice cream, as they took a break under the shade of the shelter. Live music by The Mike Cline and Constance Praise Band, Atchison, was also enjoyed. “Street Rodding American Style,” a PBS show, filmed this year’s event. It will air on KTWU in early 2019. Next year’s Get Rev’d Up motor show will be held June 15, 2019.